Constantly growing, the 2018 Sydney Underground Film Festival marked the twelfth edition of an extravaganza that has established itself as one of “the” events on the calendar of film enthusiasts. With a dedicated hands-on team of directors and a well-curated program, SUFF is aimed at nurturing cinema culture that not only challenges the status quo and the complacency that defines the lowest common denominator of mainstream movies but also injects life and gives exposure to creatives in need of a forum - in essence a platform for filmmakers whose work would otherwise not be seen. In a world where mindless blockbusters reign supreme, it creates a niche and aims to change an ingrained culture of cinematic complacency and revitalise an enthusiasm for the very essence of cinema. It serves as a springboard for local talent, as the screening of their movies more often than not gains them access to distribution deals and other markets. So far for the mission statement in theory. 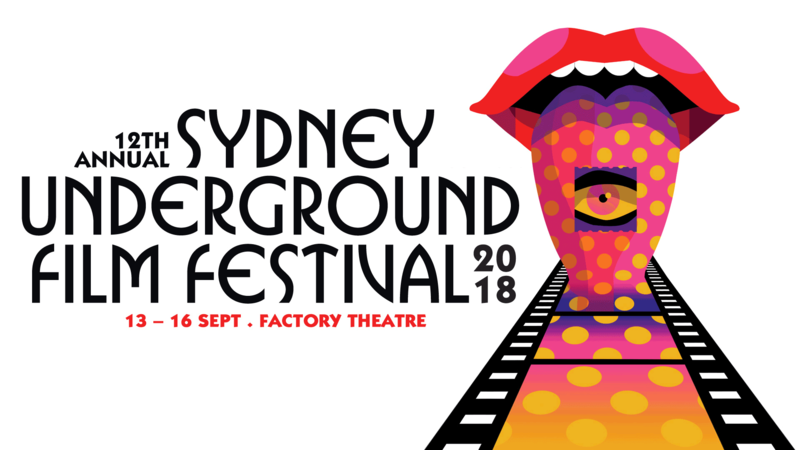 The actual four-day incarnation of The Sydney Underground Film Festival is a weird, creative and wonderful tour de force running the gamut from the downright unclassifiable along with the staple horror film selection, outré music documentaries, Spaghetti Westerns, drug altered and blood-drenched masterpieces, comedies, workshops, short films, newly restored classics and parties. A melange that never not surprises. 2018 proved SUFF 2018’s status as an incubator with the display of the emissions of new films like 'The Wild Boys' (Bertrand Mandico), 'The Goose' (Mike Maryniuk), 'Madeline’s Madeline' (Josephine Decker) and 'Bugs' (by local Sydney-Based filmmaker Jack Moxey). Along with a VR workshop, SUFF 2018 also was host to the inaugural InHuman Screens conference, which explored themes of technology and post humanism in films, featuring keynotes from Steven Shaviro, Sean Cubitt along with a host of others who considered the cultural, socio-economic and philosophical implications of future technologies. Needless to say that the Australian premier of Nicholas Cage’s wild performance in Panos Cosmato’s Mandy was the cherry on top of a smorgasbord of eclectic events. Given that the Sydney Underground Film Festival has constantly expanded over the last twelve years and the quality of its offerings in 2018, anyone remotely into movies would do themselves a favour by saving the date for 2019.